Since Columbus reached the shores of San Salvador, the continents of North and South America have been plagued with a cycle of seemingly never-ending war. In the fall of 2016, with the stroke of a pen, the President of Colombia Juan Manuel Santos and Timoleon Jimenez, the leader of the Revolutionary Armed Forces of Colombia (FARC), were able to finally end this cycle of violence. The Peace Process for Colombia has not been an easy one. Peace talks began in 2012 when the FARC agreed to meet with government officials to begin the transition from a rebel group to a legitimate political party. Despite a ceasefire being reached between the two parties four years later, Columbia’s peace agreement referendum was rejected. While the government was able to push a revised agreement through congress, peace remains unstable with rural areas of Colombia still ravaged by violent paramilitary and other rebel groups. 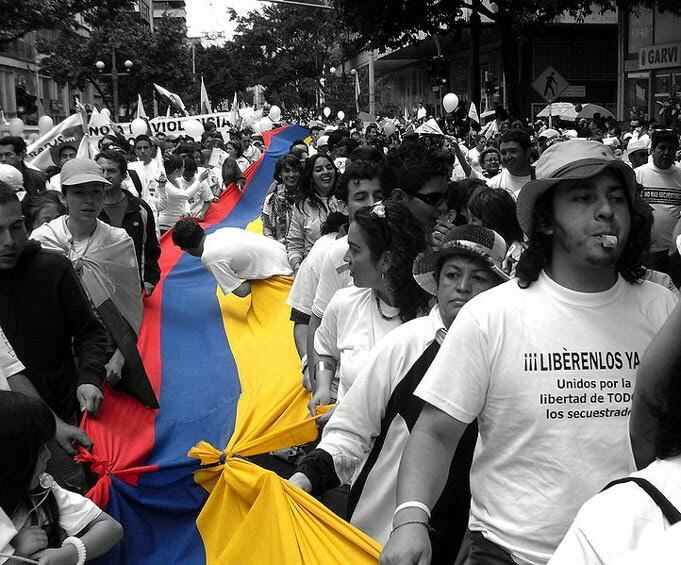 Colombia’s civil war has been one of the world’s most violent and longest ongoing conflicts. It began in the aftermath of the previous Colombian civil war, fought between the Conservatives and Liberals, which lasted from 1948 until 1958. The key issue behind the emergence of FARC was the unequal distribution of land. Much of rural Colombia was owned by a small cadre of wealthy elite, which drove the FARC to advocate for equal land distribution. The FARC found their base of support in the poorest rural regions of Colombia and acted as the de facto government in these regions for much of its existence. In response to the FARC’s rise, right wing para military groups such as the Untied Self-Defence Force of Colombia (AUC) were formed to combat the FARC. These groups have long been in conflict and act as the right-wing counter-parts to the left-wing guerrilla movement. During the Cold War the FARC and ELN received significant support from Cuba and to a lesser degree the Soviet Union. During the 1980s and 1990s, when the drug war in Colombia was at its height, FARC fought against the cartels. However, once the two largest cartels (Cali and Medellin) fell, FARC and other paramilitary groups adopted and developed drug trafficking on a larger scale. When Alvaro Uribe was elected presidency in 2002 with financial and logistical help from the United States, he significantly ramped up military pressure on FARC. Uribe’s aggressive military tactics against FARC proved successful and resulted in FARC losing control of a significant amount of territory. In the period between 2002 and 2010, FARC not only lost territory but also saw its number of active militants drop from 14,000 to 6,800. Equally, the organization lost much of its control over the cocaine trade in Colombia. These setbacks pressured the FARC into negotiating a diplomatic deal to transform its military movement into a political one. In the peace deal, the FARC agreed to surrender their weapons and re-enter civilian life. In exchange, the movement was granted political recognition and allocated 5 seats in each house of congress. The government also agreed to pardon FARC members who confessed to the crimes they committed. While the peace deal received unanimous international support, there were many inside Colombia who saw the peace deal with FARC as far too lenient. The most notable opponent was former president Alvaro Uribe. The greatest issue with the agreement was the official pardon. Opponents to the agreement argued that the deal was undemocratic and put FARC above the rule of law. In the referendum of October 2nd, 2016, the opposition to the deal won, despite what the polls had predicted. The vote returned 50.2% in favour of “No” against 49.8% “Yes”. Consequently, president Santos was forced to revise the deal in order to pass it through congress on November 30th, 2016. There has been an unprecedented level of peace in Colombia since the signing of the deal. While the process of FARC surrendering took longer than expected, the FARC has followed through on surrendering its weapons under UN supervision. The former FARC members have peacefully returned to civilian life and are now preparing for the upcoming 2018 election. On the other hand, the Colombian government is not doing enough to ensure that peace will be extended to the rural regions of Colombia. In the peace deal, the government promised to increase spending in the underdeveloped regions of Colombia. With the FARC gone there is a power vacuum with the various paramilitary groups and drug cartels fighting for power and control. The government of Colombia needs to regain authority over these regions, as well as fulfil their promises of land distribution and increased spending as fast as possible. While the government is in the process of negotiating a peace deal with the National Liberation Army (ELN) - Colombia’s second largest rebel group - they must assert its presence in the former FARC controlled areas. It is time for the opposition of the peace deal to accept FARC as a legitimate political entity. All sides of the government must come together to help repair the rural areas of Colombia most affected by the conflict. If the people and government do not come together to help develop rural Colombia, they risk having another paramilitary or drug cartel take control of the region, thus resuming conflict.